Have you ever wondered where twisted stitches come from, why there are two common ways to decrease a stitch instead of just one, or what the heck is “combination” knitting? Do you get confused when you pick up or transfer stitches and find that they seem somehow different from what you’re used to? 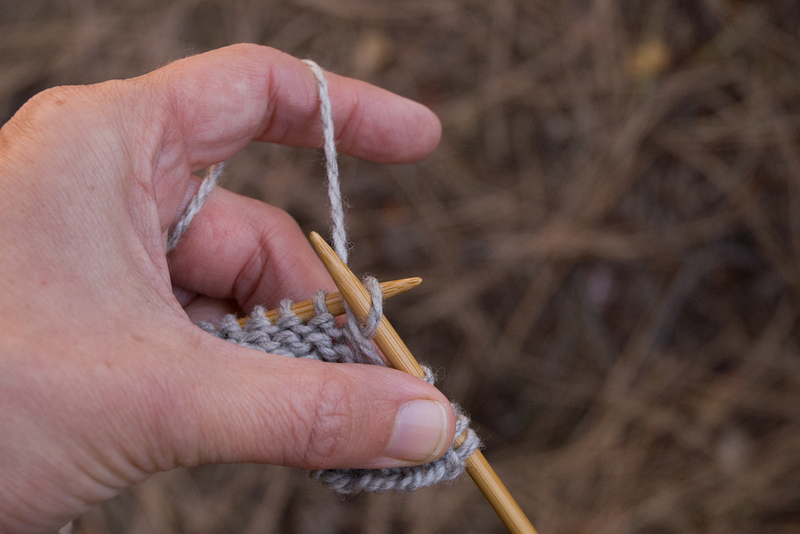 Has anyone ever told you that you knit “the wrong way”? 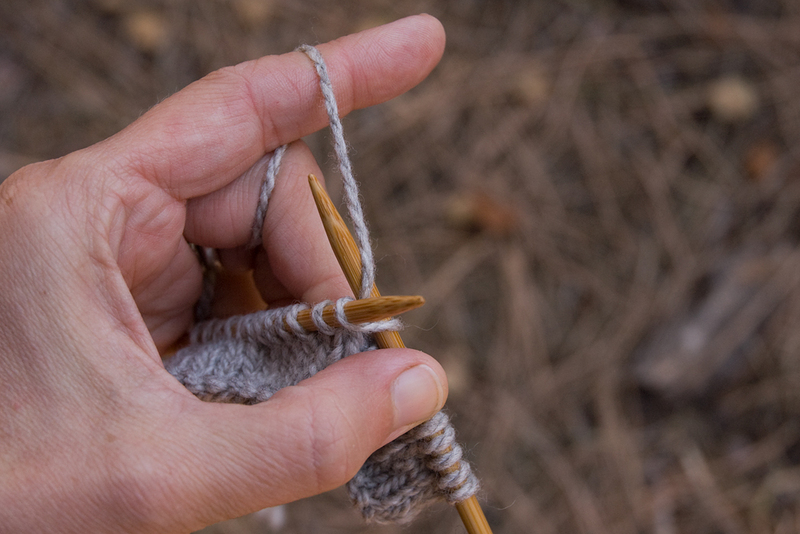 If so, keep reading—but let’s get one thing straight right up front—there is no wrong way to knit! 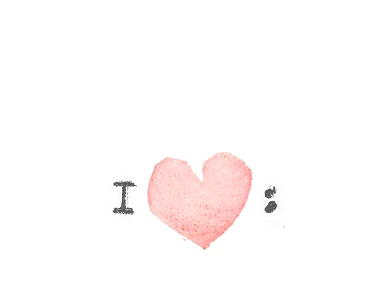 (And I am not the only one to say so.) If your way is comfortable for you and produces fabric you like, it’s a good way. 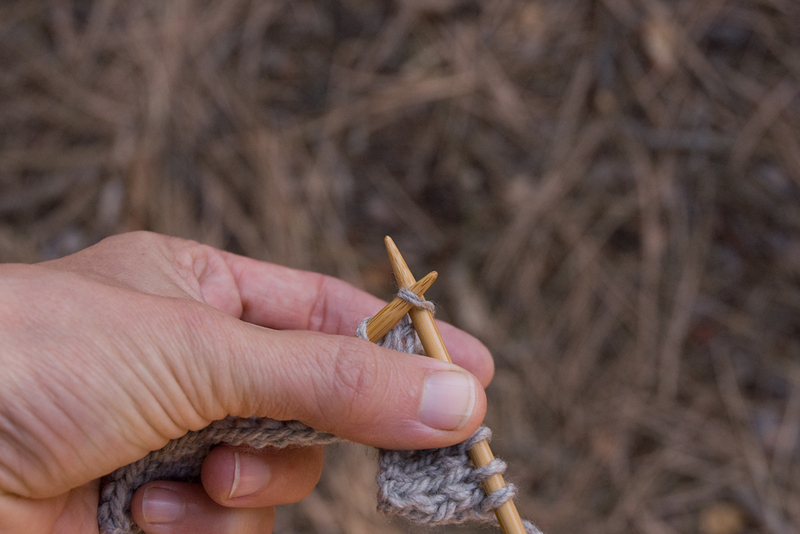 No matter what combination of stitch orientation, wrapping direction, and yarn handling you use, there are certain basic elements of how knitting stitches form that are the same. 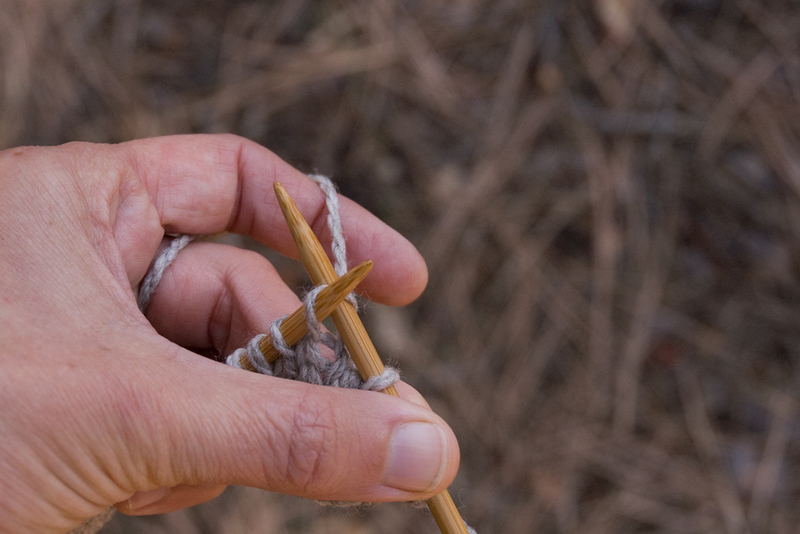 These influence how you work your stitches as you knit, and how your finished stitches look. 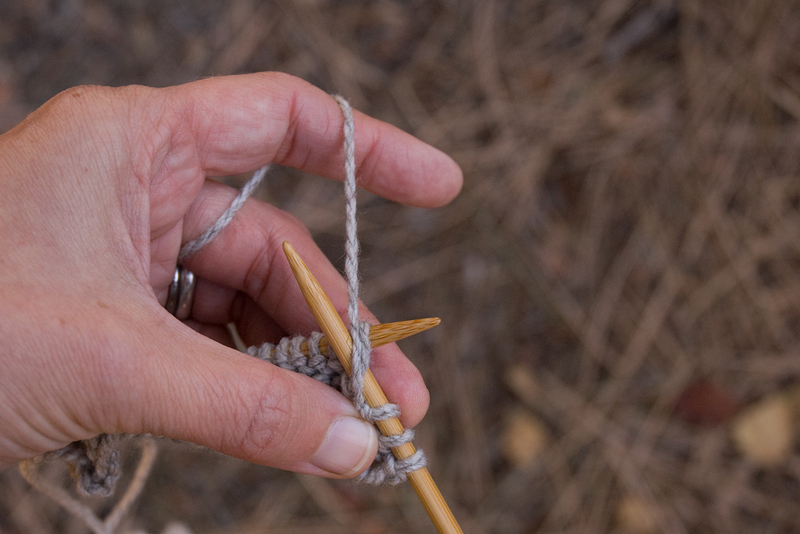 Once you understand these basics, you can gain the confidence to handle your stitches however the situation calls for, and maybe even the freedom to try out different ways to knit! If you have your own knitting handy, please get it and follow along looking at the live stitches, I think it will make more sense that way. Let’s start with the shape of a stitch: when you look at a piece of finished knitting (or the part of in-progress knitting below the needles) each knit stitch looks like a mostly-flat “V” shape, and each purl stitch looks like a horizontal bar. Both stitches are actually just loops of yarn, oriented differently to the ones below. (We’ve talked about that before, and it’s worth mentioning many times—in fact I recommend that you keep thinking about it until you can see it with your eyes closed). We have knitting needles to hold all the loops we’re still working with until the next row/round, so that they don’t come un-looped. As soon as you put two stitch loops on a needle, they have an orientation, which can be one of only two ways: with the leading side of the stitch (the side which is closest to the tip of the needle holding it) either in front of the needle (closer to you) or in back of the needle (further from you). This is sometimes called stitch “mount,” and the sides of the stitches called “legs,” as if they were riding horses—visualize that if it’s helpful to you. 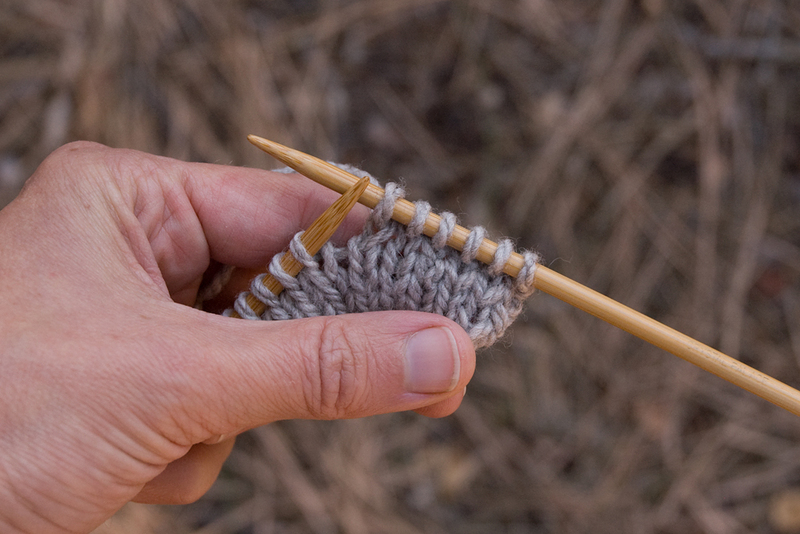 We have now discovered a deep truth of knitting: there are only two ways that a stitch can “sit” on the needle, and no matter which way it is, if you knit (or purl) through the leading side, the stitch will be open, and if you knit through the trailing side it will be twisted. Many knitters first think about these differences when they get to decreases. 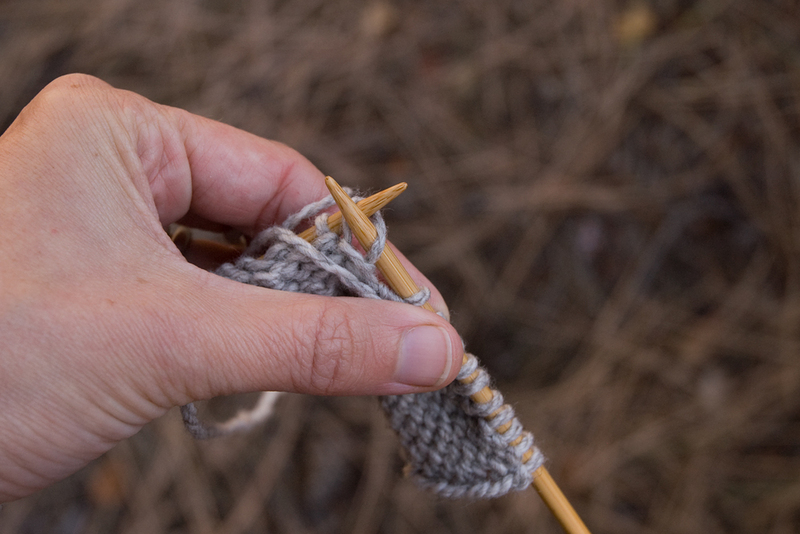 To Knit Two Together (k2tog),you reach your working needle into two stitches at once, from left to right, through the front of the stitches, and assuming that those stitches have the leading side in front, both stitches will be open,the left one will be on top of the right one, and the decrease will lean to the right. All of this works if you are making purl stitches rather than knit, it just may look and feel a little funky if you’re not used to it. You can absolutely purl a stitch through the back side. And you can flip purl stitches around bypassing them between needles. My golden rule for this is: if the needles tips are essentially (or could be) pointing them same way as you are picking up the stitch to transfer it, it will flip the stitch around. If the needle tips are pointing towards each other (tip to tip), you will transfer the stitch without changing its orientation.Note that if you reach into the trailing side of the stitch instead of the leading side to transfer it, you’ll twist it, just like when working it. Play around with it a little bit, you’ll see what I mean. Ok, are you with me so far? To review: whether a stitch in knitted fabric is open or twisted depends on these two things: which way the stitch is oriented on the needle, and which way it is knit (through the front or the back). 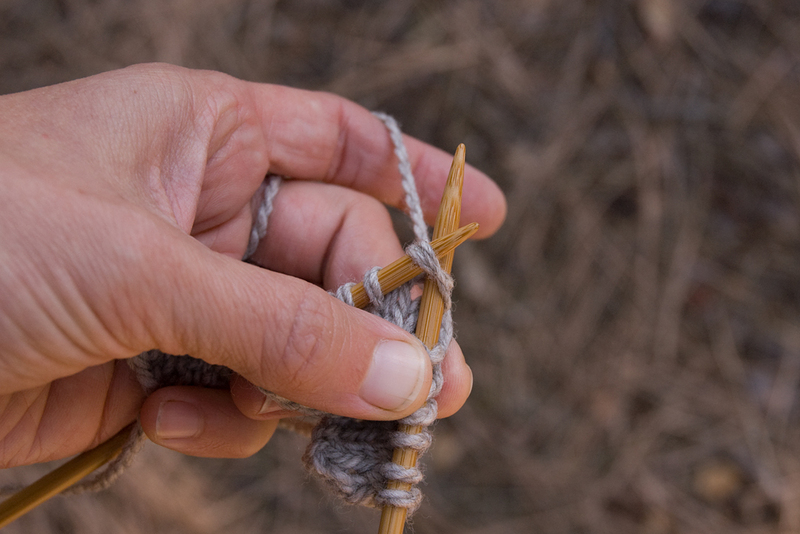 To get an open stitch, always knit or purl through the leading side of the stitch. It’s easy to re-orient the stitches to get the effect you want, by flipping them around with the needles. Fair enough, you may think, but how do the stitches get to be oriented one way or another in the first place? Don’t they all just appear with the leading side in front? Excellent question. You may have noticed that there are also two (only two) directions in which you can wrap the yarn around the needle as you make a new stitch. 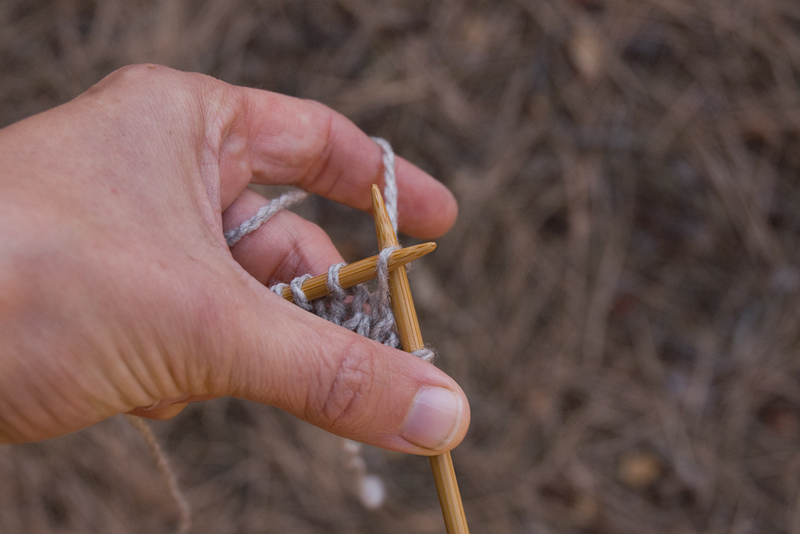 If you’re reading this in the US, you were probably taught that the “right” way to knit is to wrap the yarn from under the needle to the front and over the top (counterclockwise if you are looking at the tip of the needle), and the right way to purl is to bring the yarn from the front up over the top of the needle and down (again counterclockwise). 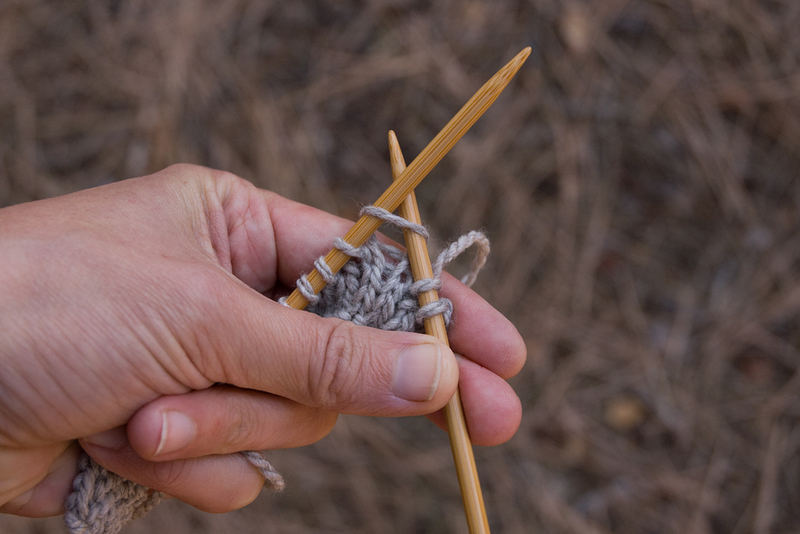 The wrapping direction applies whether you knit by holding the yarn in your right hand and throwing (English style) or by holding it in your left and picking (Continental style). In the photos below, I’m holding the yarn on the left, but it works with either technique. Even in Portuguese knitting, it may look different, but there are still two ways to wrap the yarn! 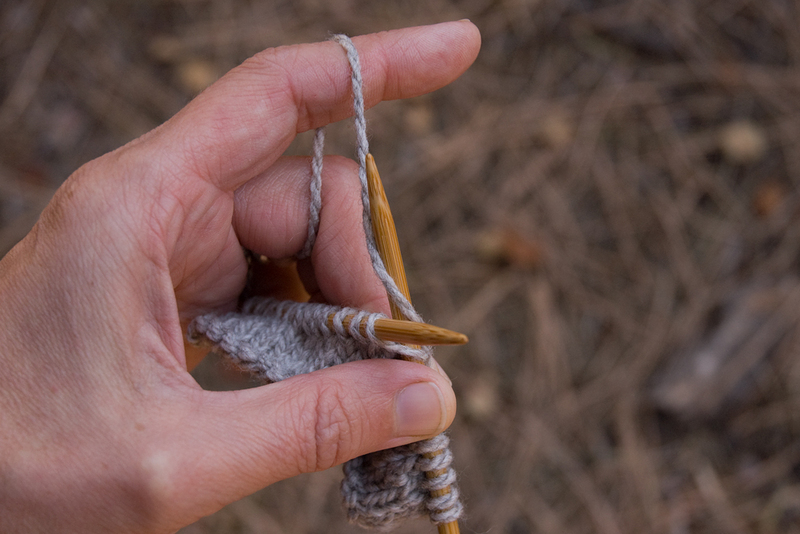 Here is our second deep truth of knitting: if you wrap the yarn counterclockwise, your new stitches will come out with the leading side in front. 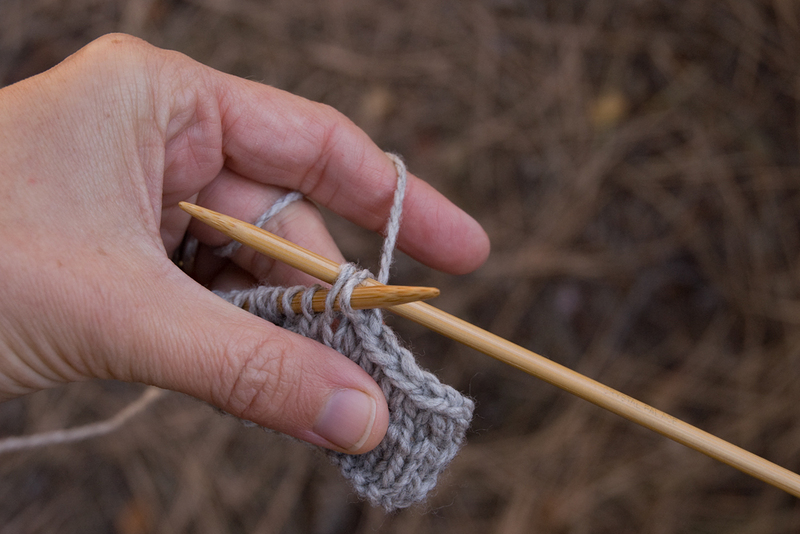 If you wrap the yarn the other way (clockwise as you look at the needle tip) when knitting or purling, your stitches will come out with the leading side in back. Here is where combination knitting comes in. 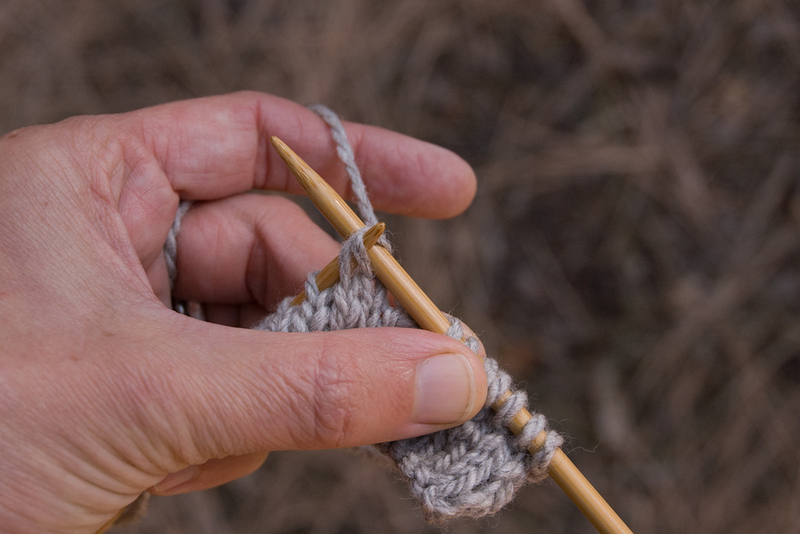 If you knit Continental style, by holding the yarn on the left and picking the stitches from the tensioned yarn, you may have noticed that it’s actually a lot easier to form purl stitches by bringing the working needle in front of the yarn and just pushing it away from you through the existing stitch. This wraps the yarn clockwise around the needle tip, meaning that your stitches for the next row will have the leading side in back. Which is no problem now, right? Just knit them through the back, and they will come out open just like you want them to. Knitting in the Old Way also gives a fairly elastic bind-off method which I used for just about everything when I started knitting. It’s easy, and I still like it! All you do is knit two stitches together, then pass the resulting one stitch back to the holding needle, knit it together with the next stitch, and repeat. What it took me a while to realize is that I particularly like the look of this bind-off when the stitches are oriented with the leading side in back and knit through the back—that way they lean gracefully in the direction the bind-off is progressing (towards the left, like an ssk decrease) and make a nice series of open “Vs” along the bound-off edge. Pop quiz: say you are knitting along with the leading side of your stitches in front, and you want to make this bind-off with the leading side in back, what should you do? As usual, there’s more than one correct answer. You could flip the stitches around one by one with the needles as you come to them. Or, you could wrap the yarn clockwise as you work the stitches of the row/round before the bind-off, so that the stitches come out with the leading side in back already! I’m guessing that all this still seems confusing if you’re new to it, but I promise it gets much more intuitive after you knit with these ideas in mind for a little while. At this point, I can honestly say that I don’t even consciously notice which way a stitch is oriented when I come to it, my hands just put the needle through the front or the back as needed. Considering all the variations in knitting style that folks use, before we end here I want to put a vote in for patterns to say “twist the stitch” instead of “knit through back of loop” and “work a left-leaning decrease” instead of “ssk.” Really, it would be so much clearer, and more understandable for those who knit in different ways from the American “standard” way. I will try to follow this principle in my own pattern writing. 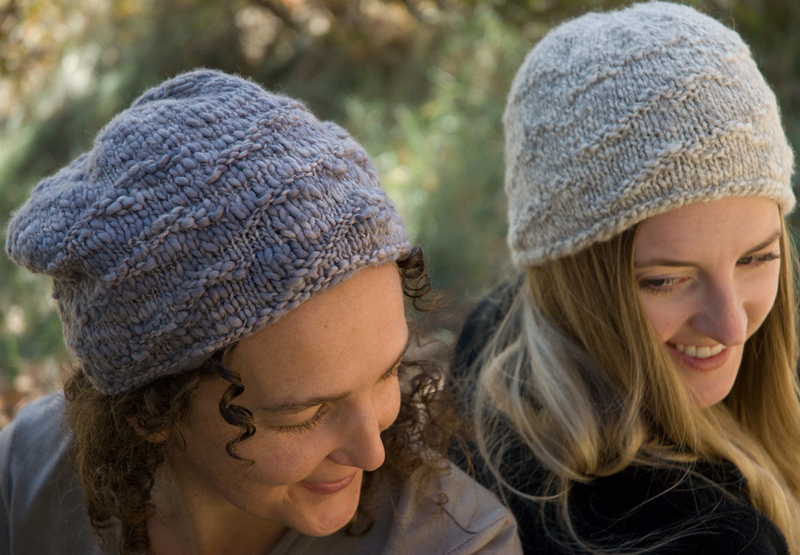 Speaking of which, have you seen my Cloudscape Hat pattern? It was in part the inspiration for writing this post. I’ve shared my approach to these fundamentals of knitting in various classes, tried unsuccessfully to get a couple of knitting magazines which you’ve heard of to publish it (Really! Can you believe it? ), and finally decided just to put it out here.